How would you like it if customers contact you first as they happen to cast their eyes on a phoneword listed as 1300 JOINERY? Both you and I know that you are already offering top quality products and services that your competitors do not find all that easy to replicate. The question is. How many Australians actually know about your joinery business? It might surprise you to learn that the potential to reach many more customers is so much better if you utilise the power of phone number names as offered by reputed 1300 companies such as 1300 Easydial. Your company might be known for getting involved in all sorts of joinery projects that would include; shop and office fitouts amongst other services you provide. The ability to increase your database through using a 1300 number is something we reckon you should seriously consider. This could be your chance to let your brand shine by signing up for a well to do phoneword such as 1300 JOINERY. 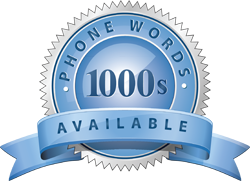 Imagine all the deals you would secure if you go to the trouble of contacting 1300 Easydial to find out more about the various phoneword packages on offer. Your customers will soon discover that you are a force to be reckoned with in terms of joinery projects. What is more, they will gladly share your new contact details with their friends and family so they too can look forward to getting their expectations met. As you can imagine, your customers will boast about how well they were treated by your staff once they went to the trouble of making a call, and would highly recommend anyone to consider doing business with you. Even if you think there is a better phone word to describe your joinery business, 1300 Easydial will be all too happy to assist you in making your selection from various possibilities that may also include and 1800 or 13 number if you so wish. It is entirely up to you. The most important message you want to broadcast to future prospects is that you care enough to make it easy for them to reach you no matter where they are. We guarantee you that they would want to return to your joinery company time and time again as they had an enjoyable experience and do not find it all that hard to recall your contact details. What are the Benefits in Using 1300 Phone Number Names? Can you begin to see why it makes perfect sense to go for a 1300 number? Why not give 1300 Easydial a call today to find out more?